Jan. 30, bilingual tanka reading at the Scenic Drive Gallery, CA Tanka Poet Mariko Kitakubo. On January 30, I read a bilingual tanka at the Scenic Drive Gallery in Monrovia, California. 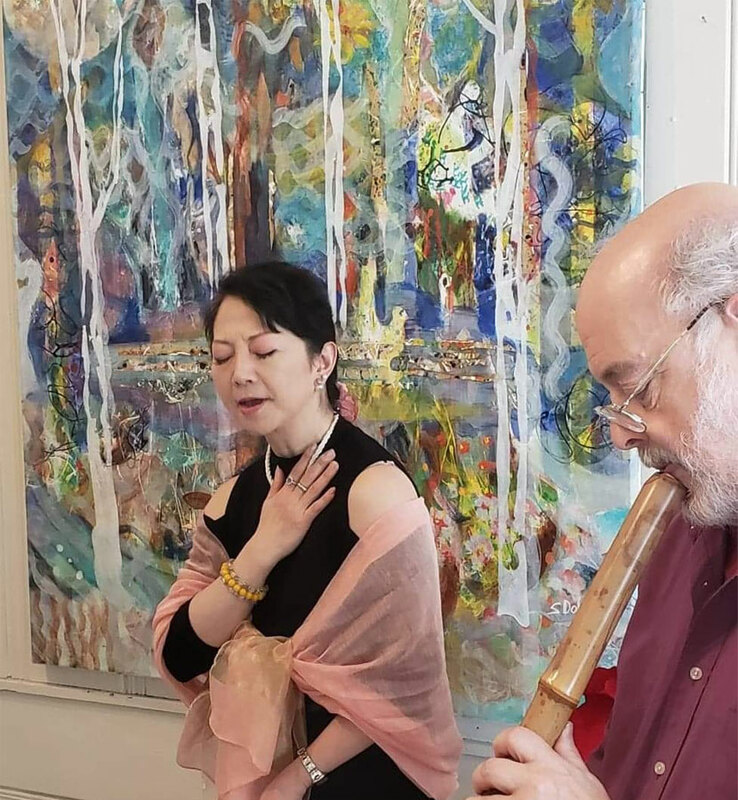 It was a wonderful opportunity to be able to present my performance to the poets attending the workshop, in which create poetry in an improvised way inspired by painting work and Rick Wilson 's Caval performance. 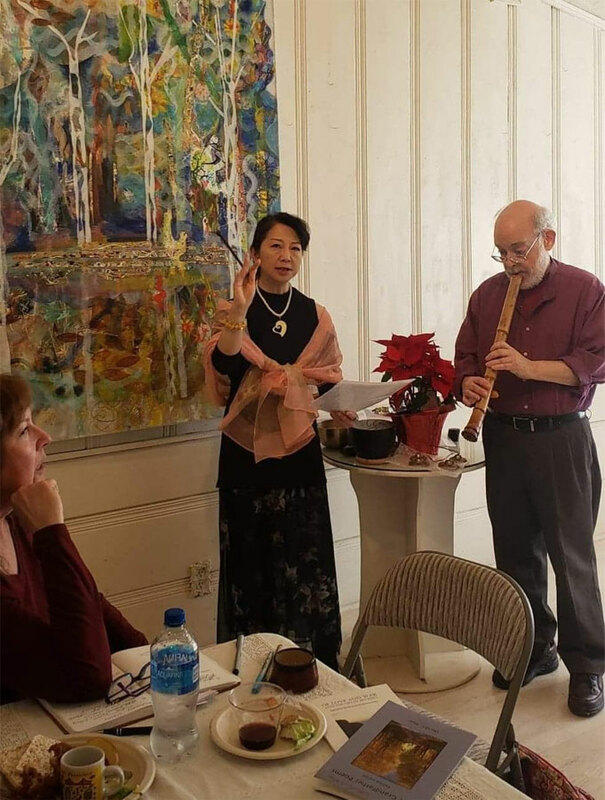 *The photo shows myself performing tanka reading, accompanied by Mr. Wilson's Shakuhachi performance.